I’ve been loving Jouer Cosmetics products lately (their Luminizing Moisture Tint Sunscreen is amazing) and since I’ve also been obsessed with eyeshadow crayons/sticks/pencils, I thought I’d give my opinion on the Jouer Crème Eyeshadow Sticks. This will be a mini-review – I plan to make more in-depth reviews in the future! I bought mine from Nordstrom during their anniversary sale. 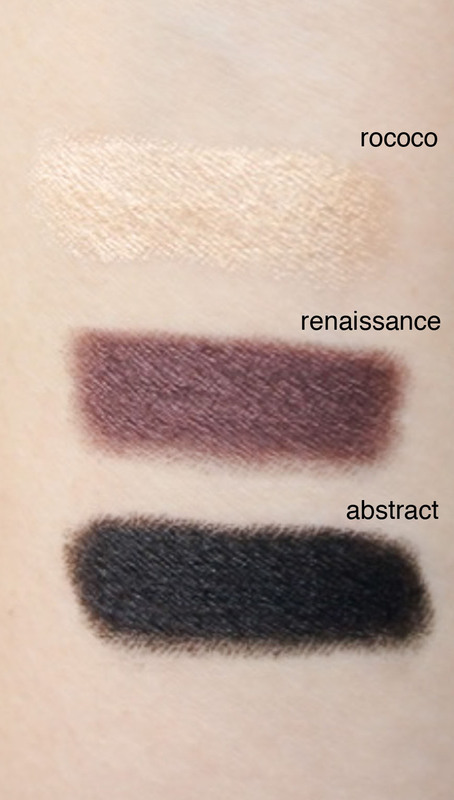 They also had a promo with a free gift with purchase 🙂 They retail at 24$ USD (32.63 CAD) and currently have 5 shades available: Rococo, Renaissance, Baroque, Avant Garde, and Abstract. I’ve been obsessed with eyeshadow crayons because I’m a lazy person that loves to be efficient. So if I’m rushing out the door I don’t want to scavenger for a clean brush (not that my brushes are always clean…). I want something quick, effortless and will last all day. 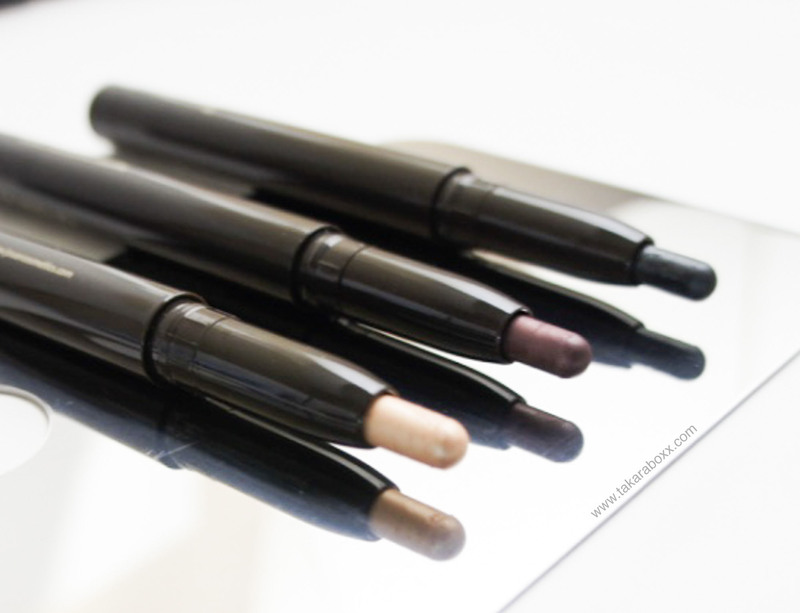 These Jouer eyeshadow crayons are just that – easy to use and amazingly pigmented. Rococo: Shimmering french vanilla – my favourite shade that reflects just the right amount of sunlight to really bring attention to your eyes. Love it for all over the lid and also to put around the inner corners. Renaissance: Shimmering bronzed plum – a true plum shade. I bought this shade because I felt like I didn’t have anything like it. If I had no other eyeshadow crayons I would have purchased Baroque which is a shimmering soft bronze. Abstract: Shimmering soft black – great for smoky eyes. May be a bit too thick to use as an eyeliner. All of these shades have a shimmer to them but it’s quite fine and you won’t get chunky glitter fallout. They are very creamy and are smudge-able up to 5 minutes after application which is great if you want to blend it with other colours. The only downfall is the smell. True to its name … it smells like a crayon. The scent isn’t extremely strong but I definitely notice it when I’m applying it to my eyes. If your eyes are extremely sensitive to scents or if you cannot tolerate certain scents, I would avoid these crayons. You can purchase Jouer cosmetics from Nordstrom. What’s your take on these eyeshadow crayons?